Travel through outer space wearing this pin commemorating the I.S.S. Enterprise NCC-1701 of the parallel universe. From the extremely popular science fiction franchise Star Trek, comes a set of pins featuring all your favorite space vessels (sold separately). Whether you plan to wear them or add them to your collection, these are sure to stand out. 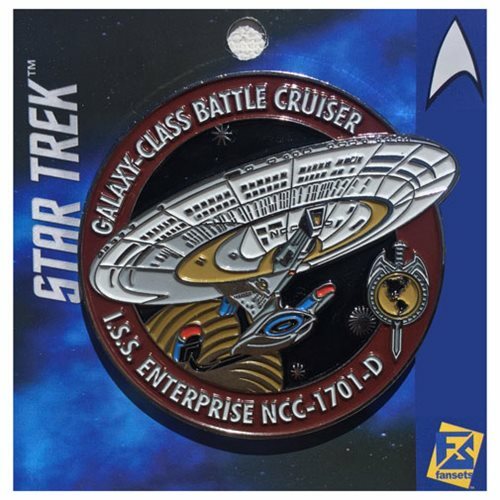 This Star Trek Enterprise Mirror Red Pin from Fansets is 2-inches in diameter.